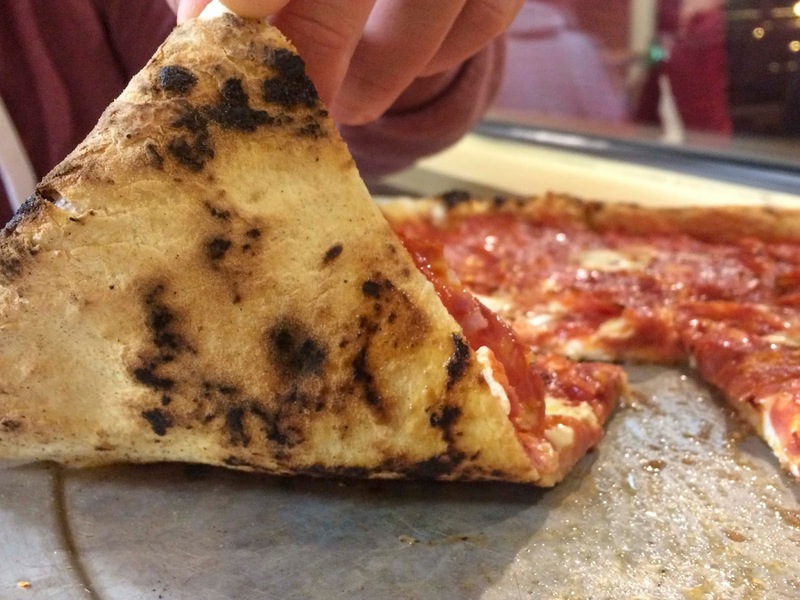 The pizza scene in the Philadelphia area is a hotly debated, often contentious topic. 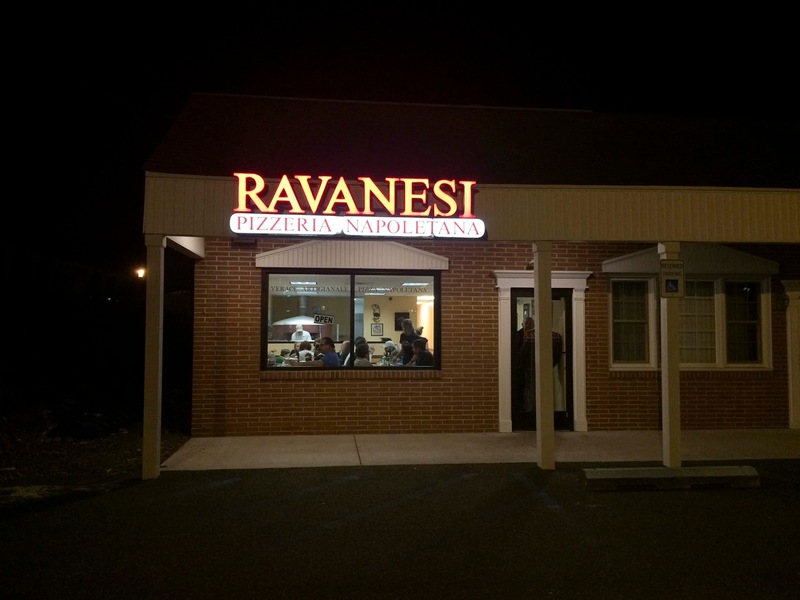 To make the vast Philadelphia-proper scene even more confusin, let's add the great pizza of the 'burbs to the mix. 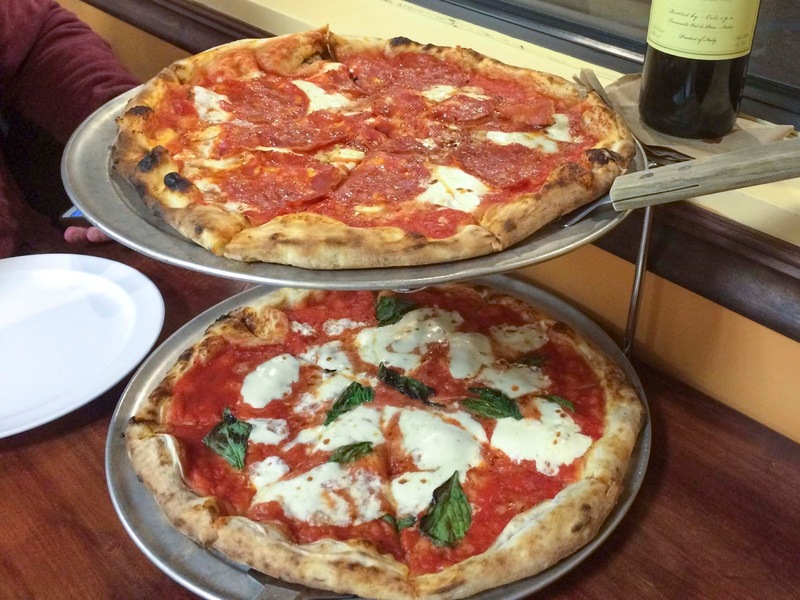 Philly may have the best pizza in the country, with Pizzeria Beddia, but South Jersey, MontCo, and DelCo hold it down as well. 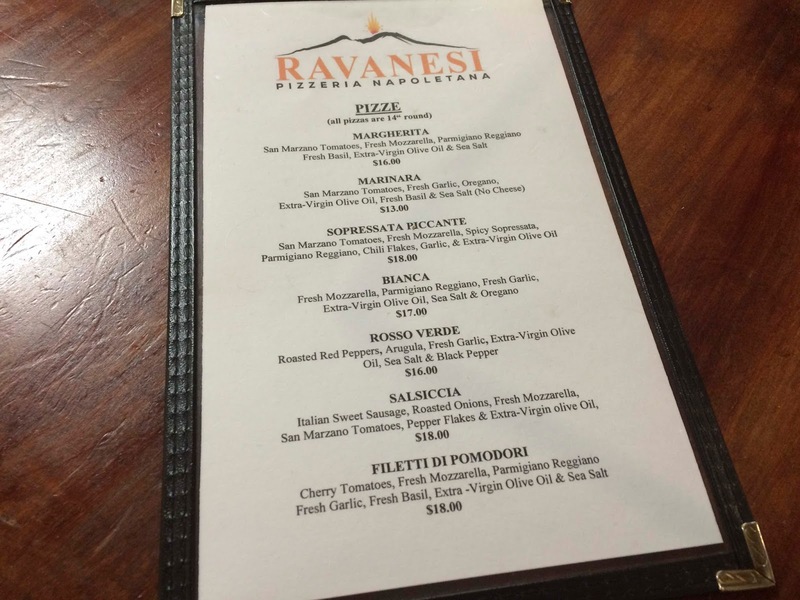 Ravanesi is modeled after the Neapolitan pizza of Napoli, and Dave Ravanesi's obsession is apparent in the product. 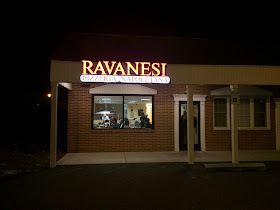 Located in a small strip mall in Glen Mills for two years now, you would not notice this place as you drove by at night, until you see the line of people out the door. They have seven pizzas on the menu. That is it. BYOB, no reservations, and no take-out on the weekends. When you are this good, you make the rules. 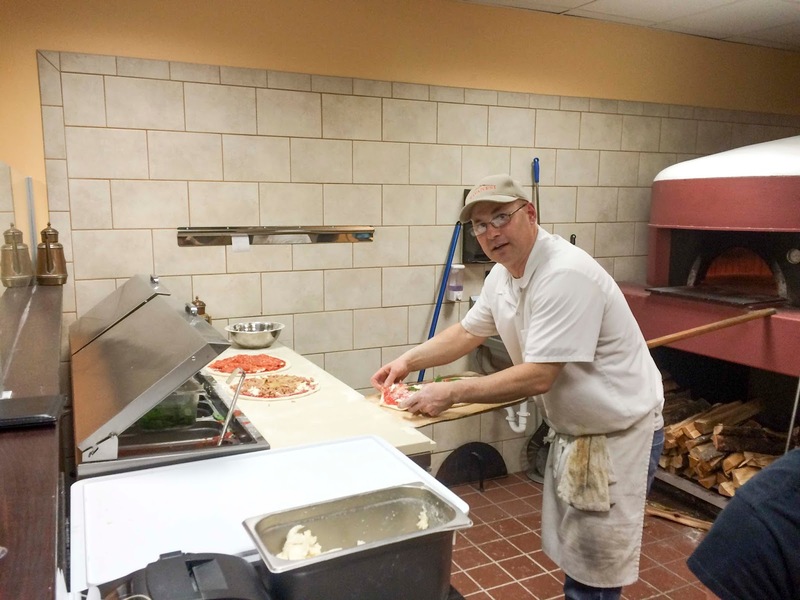 Dave is a great guy, hand making every pie, start to finish. He puts a level of attention into them that I have only seen by my buddy Joe Beddia. Indeed, I said it, the pizza here reminded quite a bit of Joey's pies. 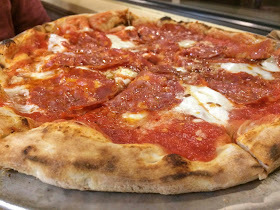 Dave uses a no-yeast, 38 hour dough that lends itself to the blistering perfection and ease of manipulation. 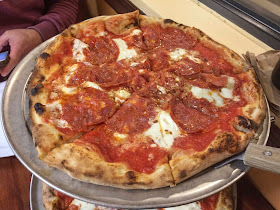 He never has more than 3 pies in his custom wood-fired oven (all hardwoods, of course, with an oak preference) and he keeps them moving so there's little loss of heat and they cook consistently in a matter of minutes. By the time I got mine, I was drooling. Not that this was an aberration from my general state of consciousness, but this time it was food related. 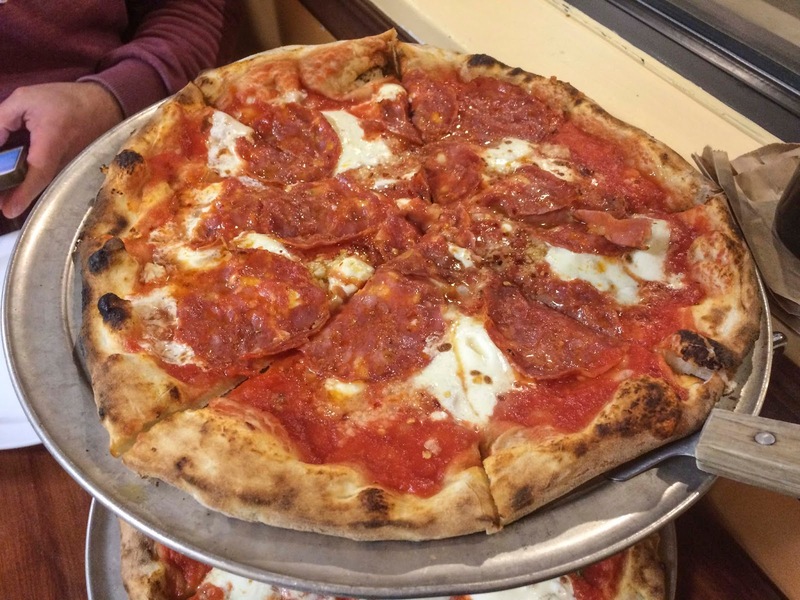 On top is the Sopressata Piccante, topped with San Marzano tomatoes, fresh mozzarella, spicy sopressata, Parmigiano Reggiano, chili flakes, garlic, & extra-virgin olive oil. On the bottom, a traditional Margherita, boasting San Marzano tomatoes, fresh mozzarella, Parmigiano Reggiano, fresh basil, extra-virgin olive oil & sea salt. Look at the color on that crust. The fluffy, crunchy dough is unbelievable, with a perfectly browned hue. The sauce had the zip of the San Marzano tomatoes, and was perfect in its simplicity. 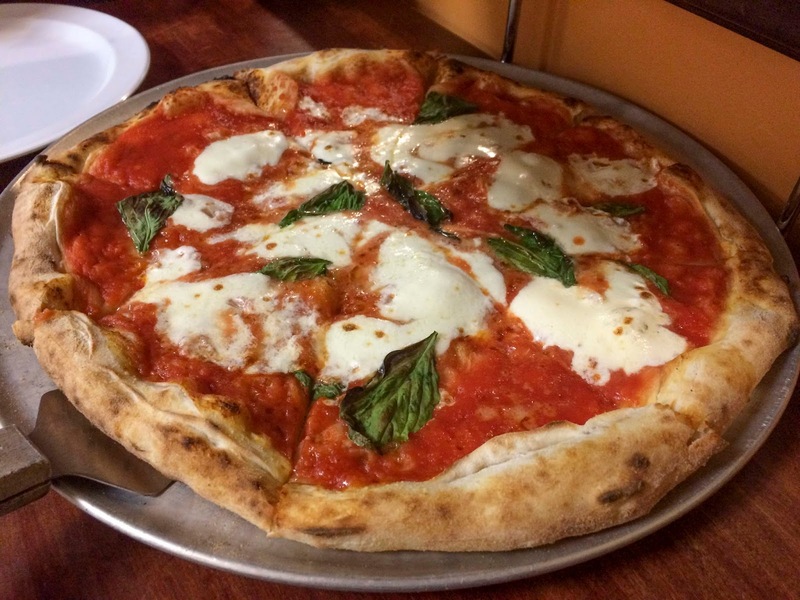 The mozzarella is made in-house, and was rich and creamy with a velvety texture. 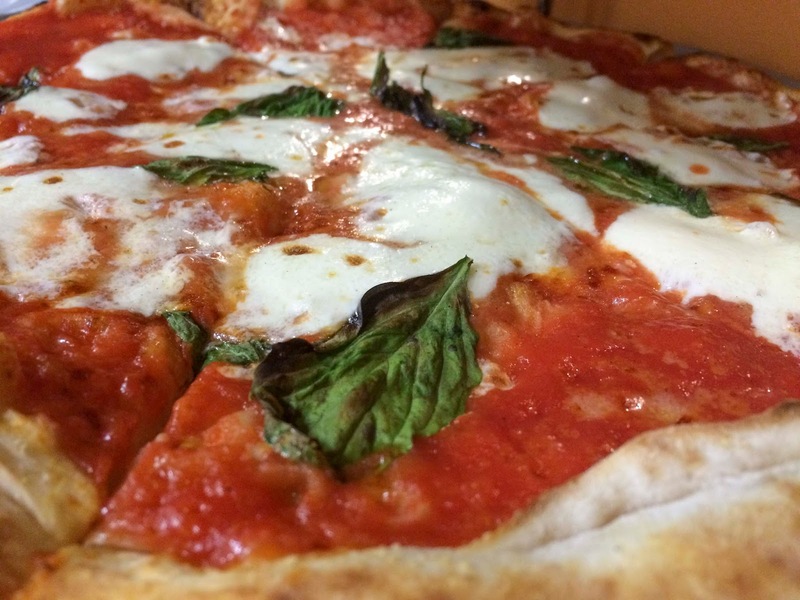 Finished with basil leaves, this pie is simple perfection. Easily one of the best Margheritas I have ever tasted. My favorite, unsurprisingly, had the extra addition of salty meat. Spicy soppressata with chili flakes made this pizza shine. 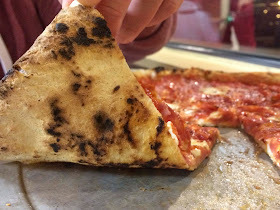 Again, the crust was perfectly baked, the toppings beyond reproach, and the execution phenomenal. Look at the spicy little grease pools on this. Pure deliciousness. Check the bottom of the crust. You can't beat the combo of slight char, and perfect browning. 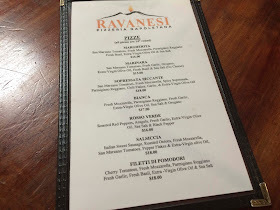 This place blew away my expectations, and I encourage you to check it out as well. The only thing I can say is, if you go early to avoid a wait, be prepared for a lot of kids. Not that it's a bad thing, but it's something to be ready for. Also, don't forget the wine. I always find your tips useful!